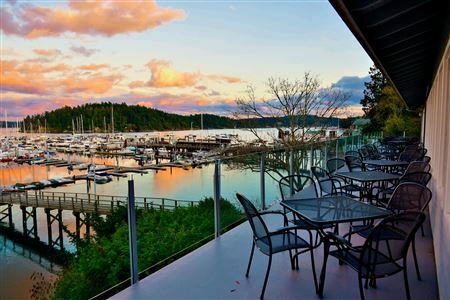 The San Juan Island Yacht Club is an elegant facility overlooking the scenic Port of Friday Harbor Marina and Brown Island, a truly magnificent setting for your wedding, reception, or both. Your guests will be thrilled to visit the San Juan Islands where they can readily enjoy numerous outdoor activities, including but not limited to: kayaking, whale watching, sailing, fishing, biking, and hiking. Who does not want to explore one of the most pristine environments in the country? You will have complete flexibility in the logistics of your wedding day celebration. You select your caterers and other service providers as you desire. 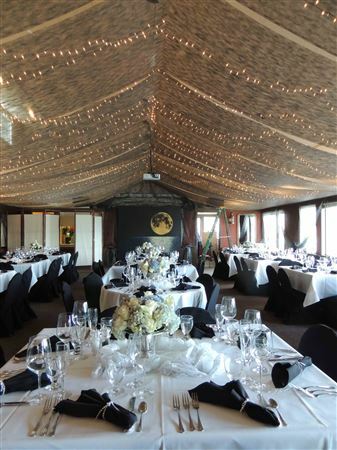 For more information and a rental quote, please contact our Club Manager at 360-378-3434 to explore your options for creating a magical, island-destination wedding of your dreams.